Look closely at the underside of the ant's head to see a parastic Antennophorus mite. 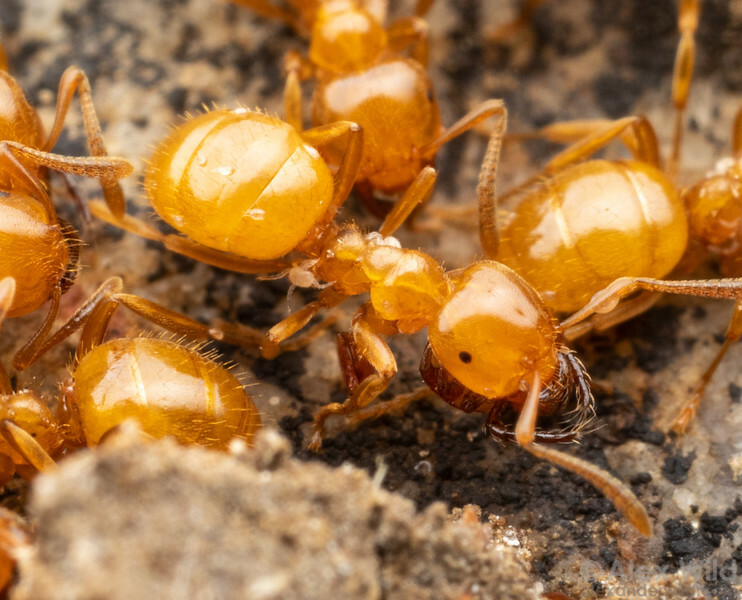 These mites live on ants and steal food from their mouths. South Bristol, New York, USA.